Absolute Online Land Auction — Harritt Group, Inc.
10% down payment due within 24 hours following the auction, balance due in 40 days. Taxes prorated to day of closing. Possession at closing. Secluded and wooded 9.367 acres located in Clark County just 5 miles North of Henryville and 5 miles South of Scottsburg off US-31. Property ideal for recreational or residential homesite, adjoins state-owned parcel and sells to the highest bidder without reserve! 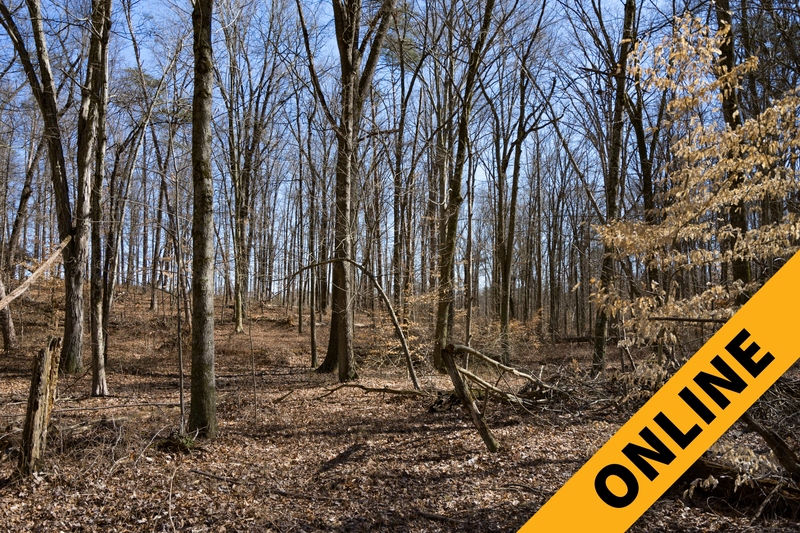 A private, secluded and wooded 9.367 acre tract of land in Clark County located just off US-31. Property is approximately 415’ X 981’ deep, adjoins a 200 acre state owned parcel and includes access by a 50’ x 1650’ +- ingress egress easement for roadway & utility purposes. Property is ideal for recreational or residential homesite and sells absolute with no reserve. Great opportunity to own! WEST CLARK COMMUNITY SCHOOL CORP.
I-65 to Henryville Exit #19. East 1/2 mile on IN-160 to left on US-31. North 4.5 miles to left on County Line Road. Auction 1/2 mile on left. Or 5 miles South of Scottsburg off US-31.